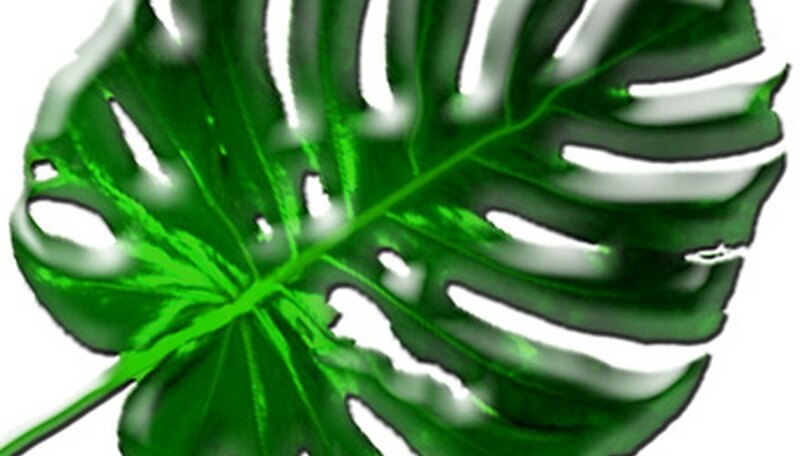 Monstera deliciosa, also known as split-leaf philodendron or Swiss cheese plant, is a tropical vine with huge leaves that is usually used as a potted houseplant. Because monstera is a rainforest plant, it requires protection from direct sun, high humidity and temperatures between 68 and 85 degrees F. Monstera deliciosa is easy to propagate and you can propagate at time of the year. Cut a 6-inch piece from the tip of a Monstera deliciosa stem. Trim off any aerial roots (thick roots that grow from the stems). Fill a pot with equal parts of moist sand and compost. Poke a 3-inch deep hole in the soil with a pencil. Remove the leaves from the bottom third of the cutting. Dip the cut end of the stem into rooting hormone, covering at least two leaf nodes with the product. Stick the stem into the prepared hole and pack soil around it. Mist the cutting with water and place it in a warm, shaded area. Keep the soil moist and mist the plant two or three times a day while it roots. You will know this has occurred when there is new growth.